Ann Dermody, YachtWorld Heroes Judge – Managing Editor of Boat US, and a columnist and features editor for the national Irish newspaper Ireland On Sunday, Ann, and her late husband, completed a two-year, 10,000-mile adventure aboard their 48-foot Chris Craft Desperado. They traveled from San Francisco through Central America and Columbia, through the Panama Canal, to their home in Alexandria, Virginia. She continued to contribute to Irish and British newspapers and magazines; edited Luxury Destinations, a travel and business supplement from exotic destinations such as the Arabian Gulf and Australia; and then decided to join BoatUS Magazine, where she’s won first-place awards for her features from Boating Writers International. Dieter Loibner, YachtWorld Heroes Judge – Dieter Loibner is an award winning bilingual writer (English, German) and columnist. He is the sailing editor for Soundings magazine, a consulting editor for Boats.com and the US correspondent for Yacht, Europe’s largest sailing publication. His work also appeared in numerous other magazines, including Cruising World, Sailing World, Sail, Sailing, Sea Kayaker, Trade Only, Wooden Boat, Classic Boat (UK), Yacht Revue (Austria), and Yacht Classic (Germany). As a racer he competed internationally in the Laser, Finn Dinghy, Star, Tornado, Hobie Cat, and the Nordic Folkboat. He is the author of The Folkboat Story, Sustainable Sailing and the editor of Sailing Big on a Small Sailboat. He holds a Ph. D. in Journalism from the University of Vienna, Austria, and lives in Portland, Ore.
Jessica Muffett, YachtWorld Heroes Judge – Jessica Muffett founded YachtWorld.com in 1995, semi-retiring as Publisher Emeritus in 2006. She is the Founder of YachtWorldHeroes.com launched in 2010. After cruising offshore with her husband on a Baba 30 for two years in 1978, Jessica entered the marine industry, including ten years as co-owner of a Seattle brokerage, dealership and yacht leasing company. She served on the board of the Northwest Marine Trade Association, and in 2000 received their Jerry C Bryant Award for The Most Outstanding Contribution To The Marine Industry By An Individual. She currently serves on the Board of the Benaroya Research Institute of Virginia Mason Medical Center. Today she lives mostly on Kauai paddling 6 man canoes and her surf ski’s on Hanalei Bay. Stanton Murray, YachtWorld Heroes Judge – Stanton Murray, owner of Murray Yacht Sales, a yacht brokerage and new boat dealer in Louisiana and Florida, specializes in the sale of new and used power and sailing vessels 30′-60′ in length. Highly recognized as a leader throughout the yachting industry, both as a practitioner and as a member of national industry boards, Stanton is a Certified Professional Yacht Broker, yacht appraisal consultant, past president and national board member of Yacht Brokers Association of America, and president and national board member of Sail America. He lives in New Orleans with his family where he cruises and races sailboats. John Page Williams, YachtWorld Heroes Judge – Raised in Virginia, John Page Williams has worked for the Chesapeake Bay Foundation since 1973 as a field educator, fundraiser, and staff writer, running field trips by canoe, outboard skiff, and workboat. He holds a 50-Ton USCG Master’s License. In his current position as Senior Naturalist, he works to develop a strong, active constituency of anglers and boaters who support the Chesapeake Clean Water Blueprint. He also partners with The Chesapeake Conservancy and the National Park Service to develop the Captain John Smith Chesapeake National Historic (Water) Trail. As a free-lancer, he reviews powerboats and writes on fishing and environmental issues for BOATING & Chesapeake Bay Magazines, & for the online magazine NewEnglandBoating.com. YachtWorld.com is the single most powerful and effective global marketing solution for the boating industry. With over 125,000 brokerage boats offered worldwide by more than 2,400 yacht brokerage houses and 10,000 individual yacht brokers in 143 countries, YachtWorld.com receives nearly 2.5 million global visits by boating enthusiasts each month. YachtWorld provides a complete suite of online marketing services for its yacht broker members through BoatWizard and SoldBoats, their proprietary back-end tools. Headquartered in Seattle, Washington, YachtWorld has European headquarters in the United Kingdom, with sales and customer service representation in France, Germany, Italy, Holland, Turkey, Estonia and Australia. YachtWorld is a division of Dominion Enterprises, based in Norfolk, Virginia, USA. 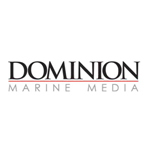 Dominion Marine Media (DMM) is the Internet partner of choice for the recreational marine industry and operates the three market leading web portals – boats.com, yachtworld.com and boattrader.com. DMM is a division of Dominion Enterprises, a leading marketing services and publishing company that provides businesses with a comprehensive suite of technology-based marketing solutions including Internet advertising, lead generation, CRM, website design and hosting and data management services. DMM has offices in North America (Norfolk, Virginia; Seattle, Washington; and Vancouver, British Columbia) as well as in Europe (United Kingdom and Italy) and Australia. The company employs 150 people, has customers in 106 countries and advertises boats for sale in 166 countries. In 2012, over 51 million unique visitors spent time researching products on DMM web and mobile sites, apps and social media outlets. DMM’s global reach includes 23 localized web portals which are translated into 13 languages.